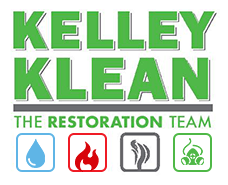 Kelley Klean is a full-service restoration company servicing the Columbia, Jefferson City, and Central Missouri areas. Established in 1986, we have worked on thousands of different property losses and cleanup projects. When you pick up the phone to call Kelley Klean to address your property situation, you will be greeted by one of our friendly dispatchers and will receive a quick and competitive estimate over the phone. At Kelley Klean, we are committed to your satisfaction. When you give us a call, we work very hard to establish a life-long rapport with you. We make sure you are fully satisfied with our work and offer a wide variety of services in order to give you a company you can trust in multiple areas. We are available 24 hours a day, 7 days a week and 365 days a year for emergencies. At Kelley Klean, we understand that when emergencies happen, you need a fast response. Not only do you need a fast response, but you need qualified technicians to arrive at your property with the proper expertise. This is why we make a commitment to have dispatchers available at all hours of the day. That way you know that a friendly voice will answer the phone at the time you need it most. When you reach out to Kelley Klean, we promise we will deliver a competitive estimate in a very prompt manner. We know that you have to make a decision fast. That is why we place a priority on getting an accurate estimate to you quickly. When you work with us, you have our commitment to providing you the information you need quickly, so that you can make the best decision for your property. The number one concern of our clients when an emergency occurs is how their property will ever be the same. Rest assured, when you choose Kelley Klean, we can restore your property to a quality level you are accustomed. There are many restoration contractors out there who claim they can handle any sized project. However, when you choose Kelley Klean, we promise you will be satisfied with our workmanship. We pay attention to details that the other guys may miss. With Kelley Klean, your satisfaction is very important to us, and we will make sure the job is done right before you sign off. We are dedicated to properly training our technicians. Our firm is certified by the IICRC in various disciplines including the Water Damage Technician, Fire & Smoke Removal, Odor Control, Upholstery & Fabric, and Carpet Cleaning. These various certifications cover a broad range of disciplines and hundreds of hours of training. You can be assured when a Kelley Klean technician arrives at your home, he is arriving trained and capable to service your property’s unique situation. Restoring a property is a process and requires extensive communication. When you choose Kelley Klean, you will receive the proper communication needed for your unique situation. We understand that damage to your property is a serious situation. That is why we make sure you understand which phase of restoration your property is in; every step of the way. Kelley Klean also can work directly with your insurance company to ensure all of the proper documentation is submitted regarding your claim. When you choose us, we will make sure your insurance company has all of the information needed to keep your claim moving through the process as well. Established in 1986, we understand the sense of urgency required to arrive on-time and restore your property; no matter what your unique issue may be. In addition, we work directly with your insurance company to make sure you claim keeps moving along, and will provide your adjuster with any necessary documentation to support the work we conduct to restore your property. Ready to talk about your property loss? Give us a call at 573-214-0990 to speak with a Kelley Klean representative!